Content is Money - eBook for Cameroon by Cameroon - Business with blogging! This book is meant for Cameroonians who want to make money on the Internet. It’s not about the regular things. Over 100 pages of practical information written by the expert in Blog Monetization. 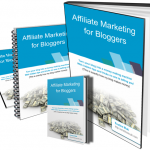 Buy Content Is Money now and get Free Copy of Affiliate Marketing For Bloggers. This is all you need to know about Making Money any where in the world with Affiliate Marketing. You can make payment with Mobile Money and your book will be available for download instantly. Just click “Add to cart” below or Watch this video for step-by-step instructions. It’s absolutely amazing how we now have the things we need to make real money (FCFA) online while in Cameroon. I have been making money on the Internet while in Cameroon since 2011. Enough money to live a dot com lifestyle. Since then, I have not written a job application letter. I earn money from Content Creation and make things happen living right here in Cameroon. There is a massive untapped market here for us Cameroonians. But you need someone to show you where to get what. I’m shocked how local bloggers and content marketers stuff their blogs with Adsense ads and celebrate peanut income. You’ve got to think above Adsense. How about getting sent 100,000 FCFA to your mobile phone regularly? Are you MTN MoMo or Orange MO? What’s in the book by the way? In this book, I share with you the things you need to know and do to be able to make good money online in Cameroon. You need a clear vision of what Content Marketing is in Cameroon and how to connect the dots for steady flow of passive income. You definitely need this book. You know the fierce competition in the business of content marketing. But you have to be able to create winning content to stand out. But what’s Winning Content and how do you create it? Number 1 – The content should be able to attract readers. Because you are not the only blogger writing about that same topic. But your content should win the readers. 1 -> You need to know the 7 reasons people read your blog. 2 -> You need to know EXACTLY what readers want when they are on your blog. Go straight to page 44 and get the 4 strategies to read the minds of your readers as they read your articles. 3 -> Everyone is talking about in-depth content. What is it and how do you create it? As a matter of fact, if you want to rank well on SERP for chosen SEO keywords, you need to create in-depth content. This is intent-focused content. From page 46, you are going to discover 11 mind-blowing tips to help you create in-depth winning content for your readers. Are you struggling with SEO? From page 50, I give you in clear terms accurate knowledge in both Technical and Content SEO. Of course, there is a lot more on content marketing and monetizing your content. I look forward to working with you after you must have grabbed your copy. After going through the wealth of content in here; this is the single most informative book I recommend to striving Cameroonian bloggers, freelancers and entrepreneurs. Doesn’t matter your level of expertise, This is a game changer!